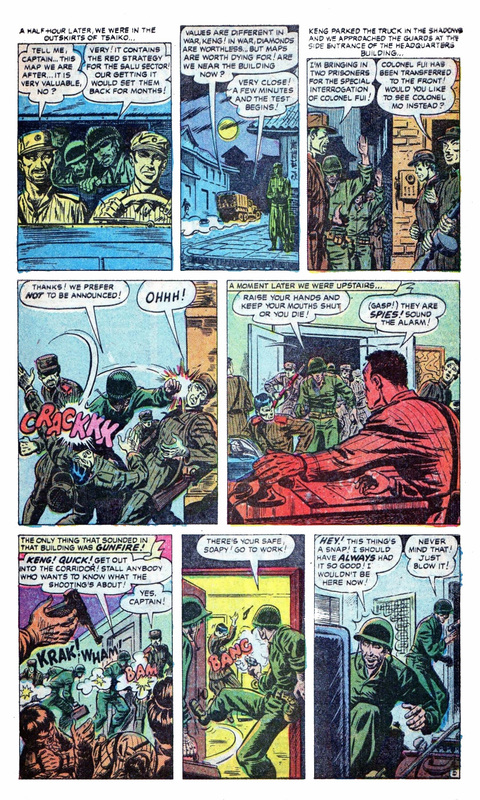 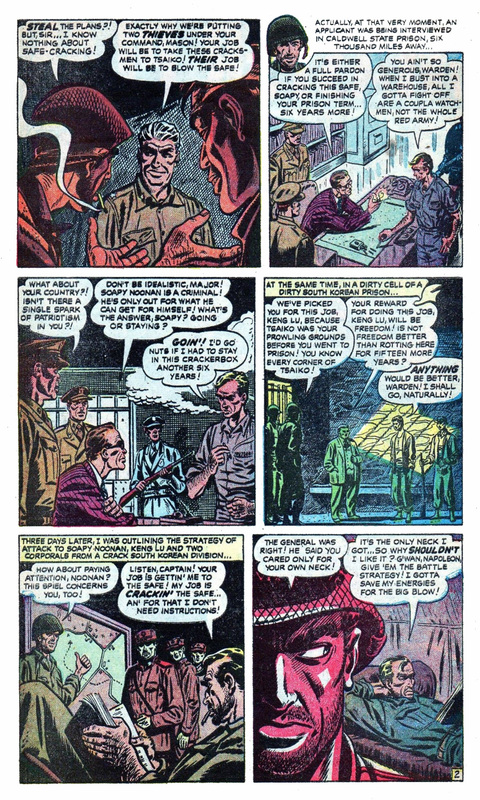 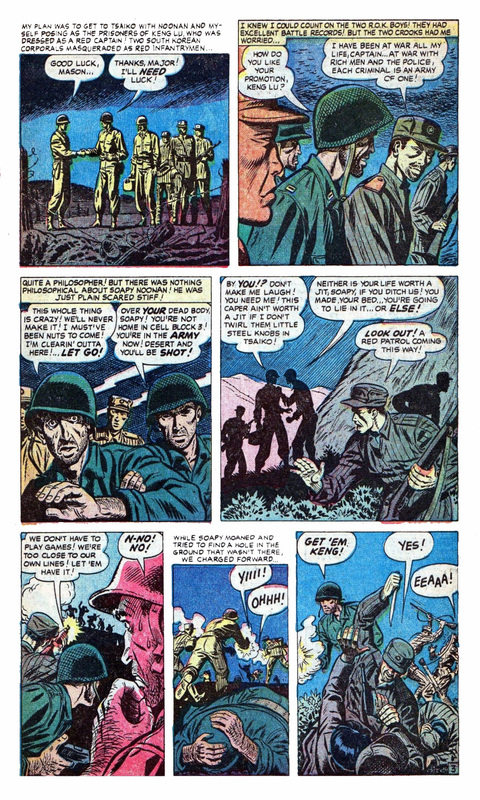 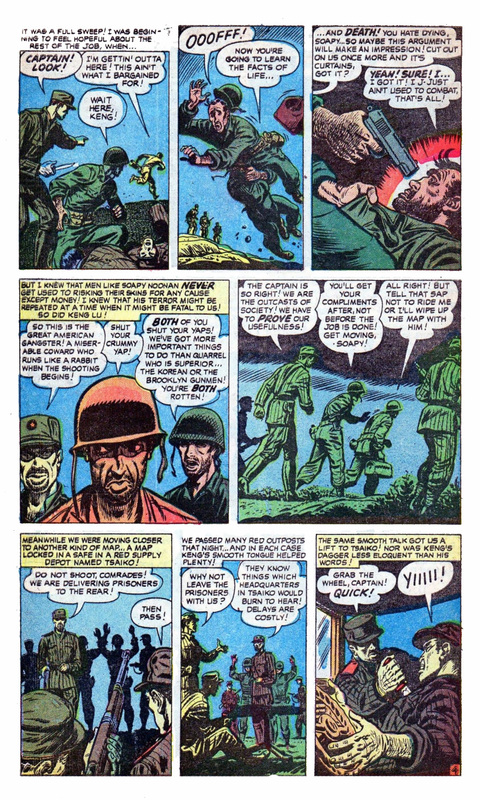 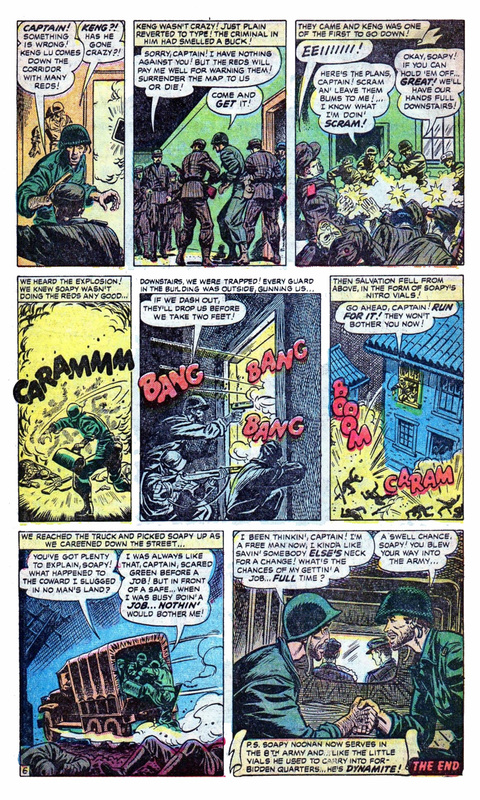 From Spy Fighters #11 - 6 pages - Another Korean War tale. 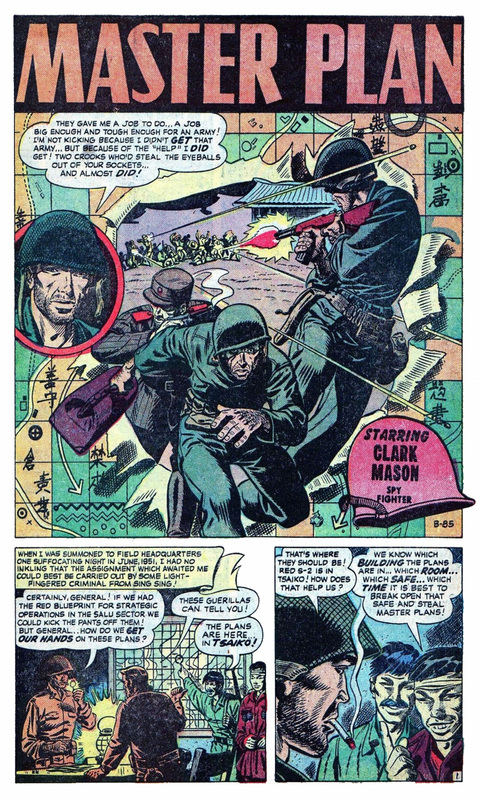 To get the enemy defensive plans for a sector, Clark Mason must sneak into a stronghold with two crooks; a Korean and an American. 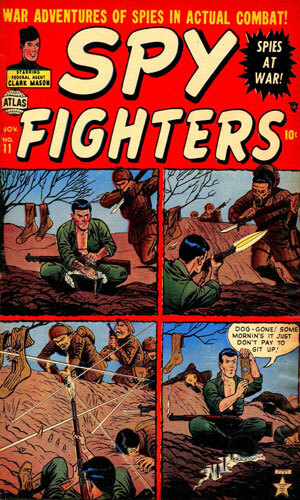 Neither were trained for combat and neither could be trusted.